I threw a really neat birthday party for Tyler last weekend. 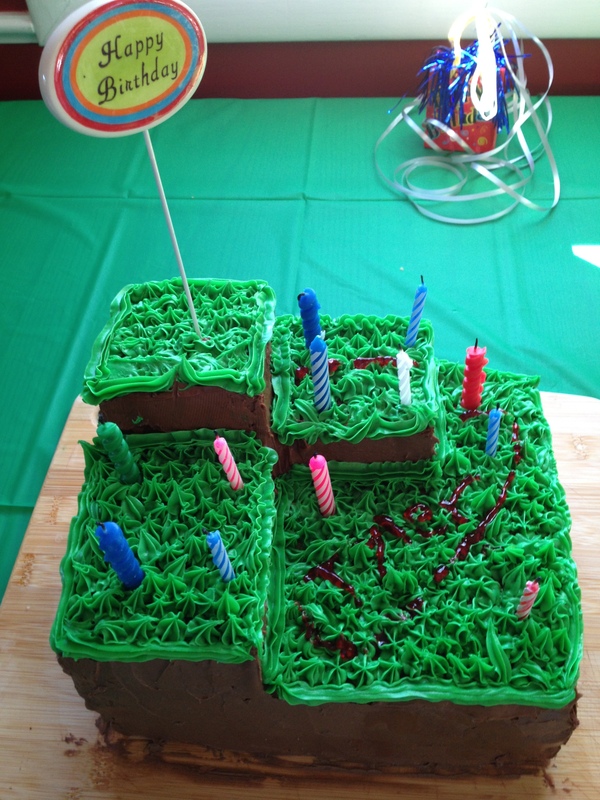 It was a Minecraft party. If you don ‘t know what Minecraft is, just google it. It’s every where. 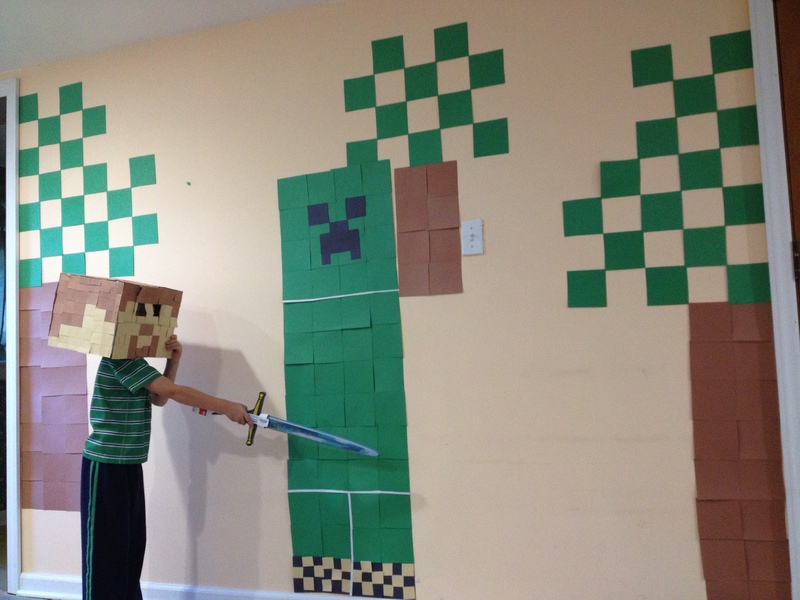 Like usual however, they don’t make things for Minecraft parties. What I found online also seemed to be sparse. I do like to get ideas from the crazy parents that have entire blogs for the kid parties that they throw. I love them. I always get such great ideas. 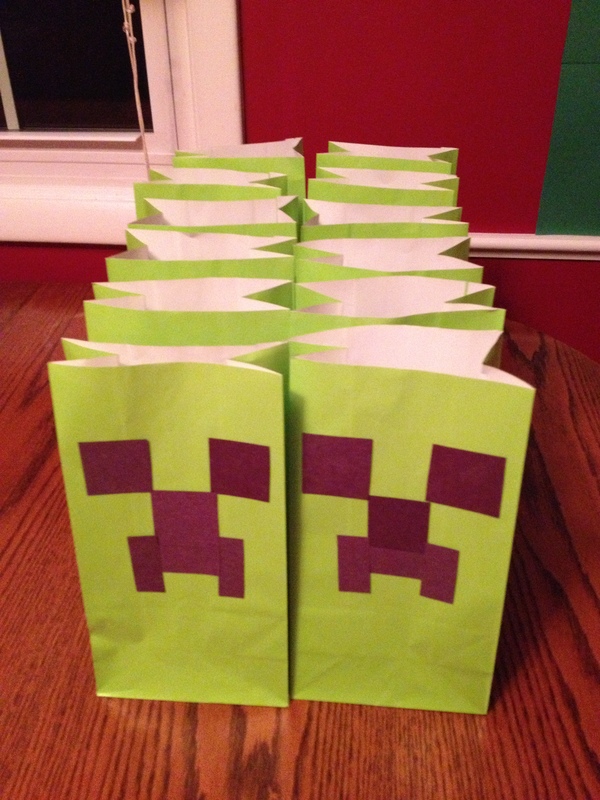 Well at the risk of seeming a little crazy myself, I thought that I would add to the online Minecraft Party Theme ideas. 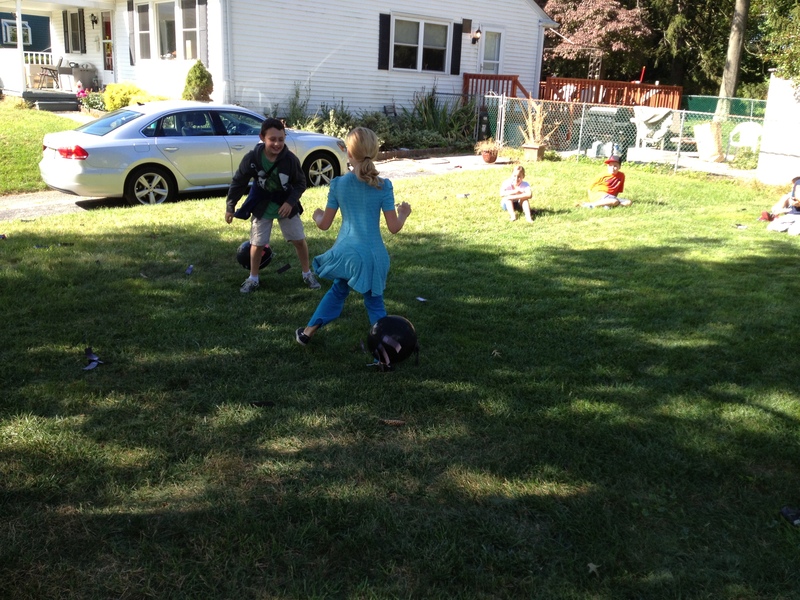 The games were a lot if fun and a big hit with the kids. I got a couple of ideas for these online. 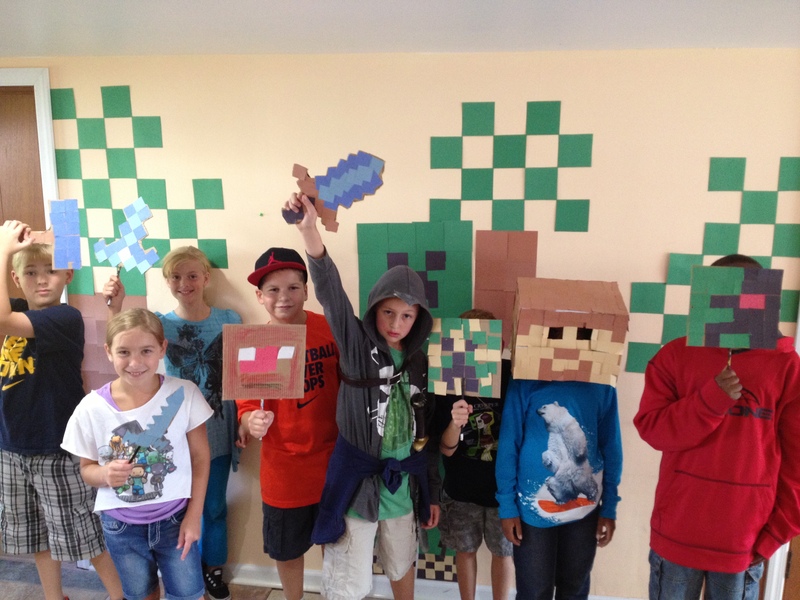 Then I had them each make their own Minecraft face. 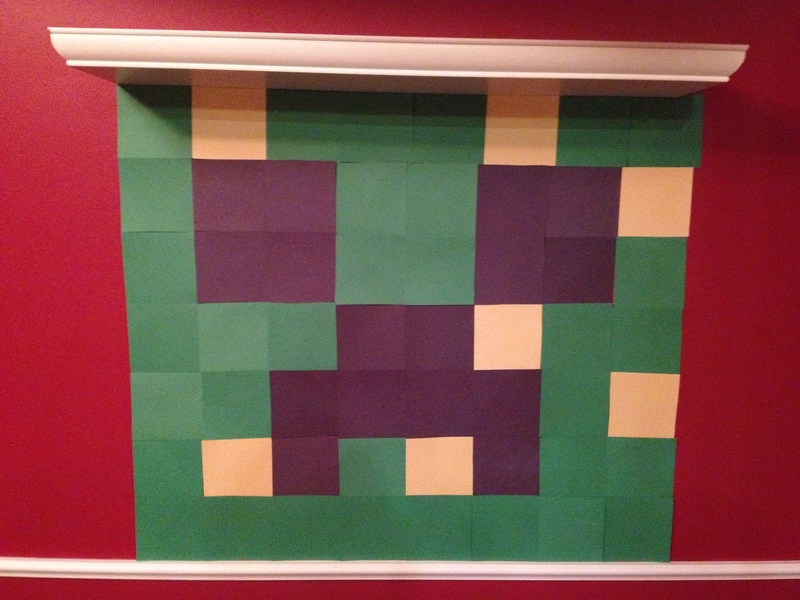 This was the first craft that I have ever had kids do at a party. Considering they were all 10 and 11 I think that it went off very well. My son’s friends are apparently as creative as he is. 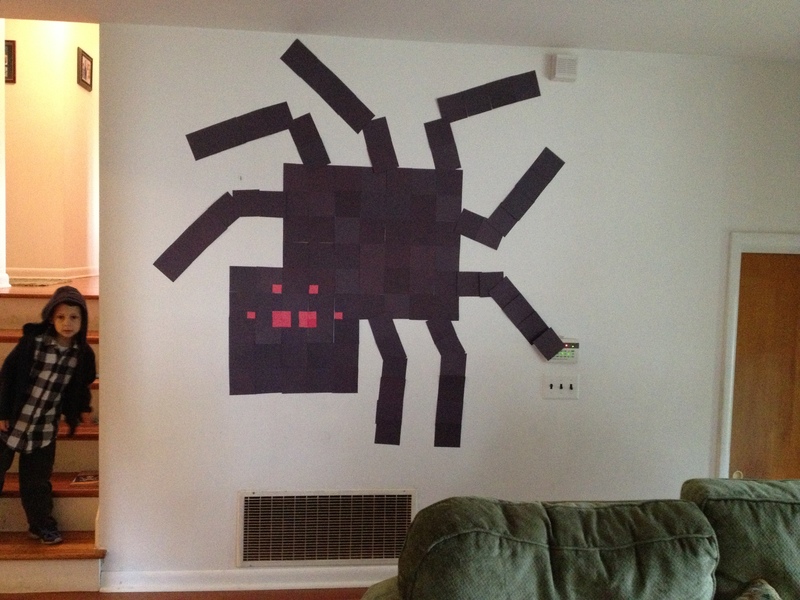 Then we played Attack of the Spiders. 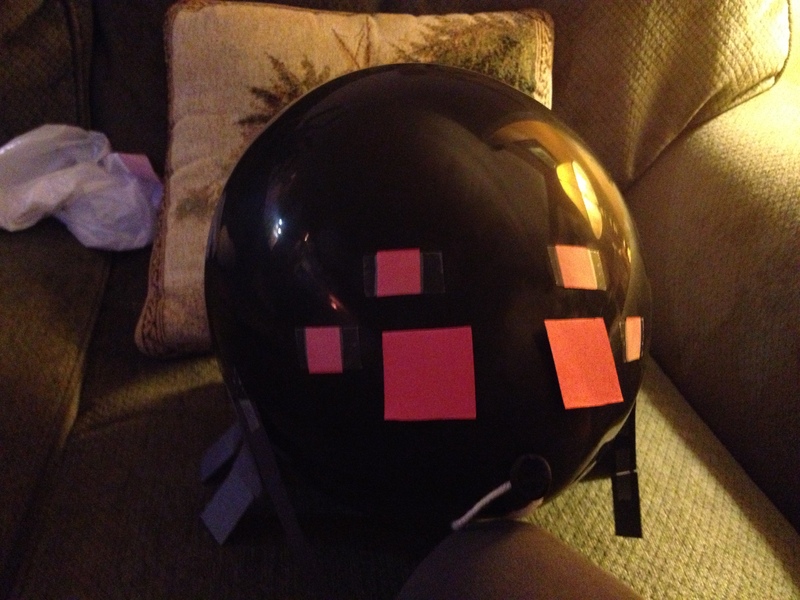 I blew up a couple of black balloons, grabbed some of the black and red squares that I had already cut out, then taped them to the balloons to look like spiders: I admit, they looked a little bit like rats. But when they were chasing the kids in the game it was really cool, the legs were flopping around and those beady red eyes. Creepy! This is the show down between the last two. The last person with a non-popped spider won. After this we played “blow up the TNT”. I took 2 diet coke bottles and made TNT labels for them. Then I broke the kids into two groups. I had the “TNT” a block apart from each other on the side walk with some Mentos. The first team to blow up their “TNT” won. Unfortunately the “TNT” blew up a lot faster than I expected so I don’t have any pictures of that one. Then after cake we had a piñata. I got the idea for this here. I took another one of the “milk” boxes and covered it in white tissue paper. Then I took white crepe paper and cut it into squares. Which I then taped onto the box in rows. Then used some more of my tiny squares for the eyes and taped some long strips of crepe paper on the bottom for tentacles. Oh sorry I forgot to mention. 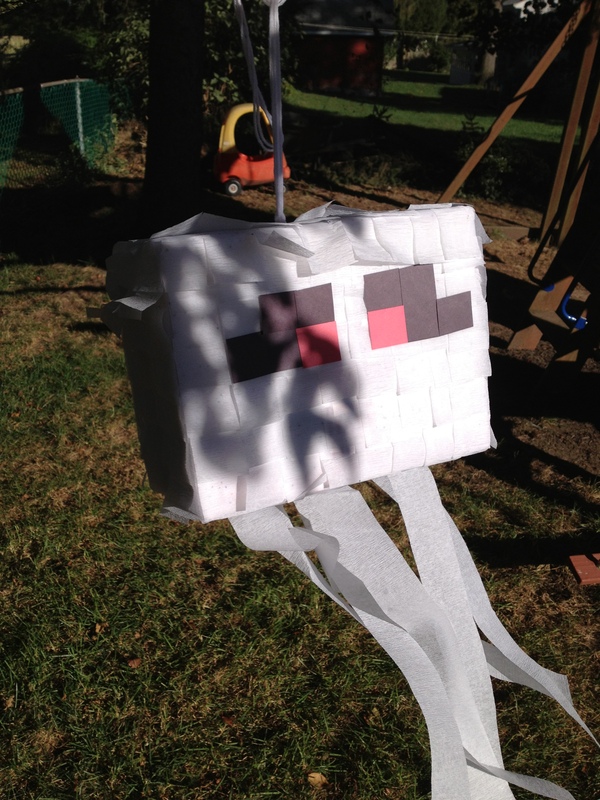 This is a Ghast. You have no idea the amount of times I corrected my son about that. 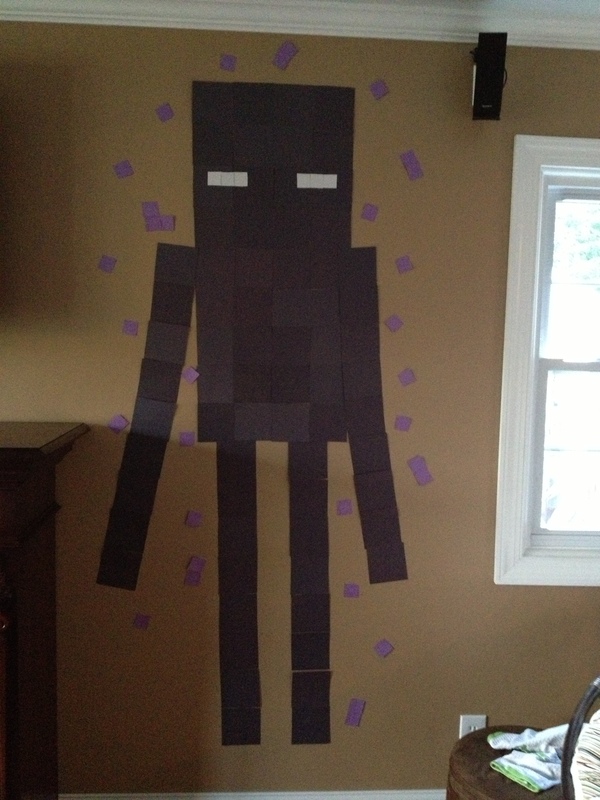 “No Tyler, it’s a Ghost.” “No mom, it ‘a a Ghast.” Turns out he was right. : ( Also I was told that I forgot his mouth. Geez, critics everywhere.